The health and safety policy contributes to all of our aspects of business performance as it demonstrates our commitment to continual improvement with regards to our Health and safety performance. Responsibilities to people and the environment are met in ways which fulfil the spirit and the letter of the law. Through our Health and safety policy we share a common understanding of the company’s vision, values and beliefs. The Managing Director of ‘Riss Limited’ is fully committed to doing all that is reasonably practicable to protect the health, safety and welfare of its employees and any other persons affected by our activities through applying the high standards that is set out within this Health and Safety policy. As an established ‘Dry Wall’ installation company specialising in the domestic and commercial markets, we are keenly aware of the need to ensure the safe and secure storage of our stock and compliance of the products we supply to our customers. In addition we recognise the importance of providing an ergonomic environment for our valued employees and for identifying and managing stress factors which may affect them.  The Managing Director has overall responsibility for ensuring that we maintain our high standards of health and safety. However, we rely on all of our employees and partners to play their part in implementing our health and safety policy and drawing to our attention, areas in which we can improve. promote a positive health and safety culture within the organisation, in particular by consulting with our employees on health and safety matters, directly and through our regular health and safety meetings. The Company is committed to ensuring that the implementation of health and safety measures is adequately resourced to enable the full implementation of this policy. This commitment includes the provision of sufficient financial resources, management and employee time, training and health and safety advisory support. It is the responsibility of the Managing Director to monitor the implementation of this policy and the company’s overall health and safety performance by commissioning and considering the results of a health and safety audit, conducted on an annual basis. This Health and Safety Policy Statement and the Responsibilities and Arrangements that support it will be reviewed at least annually or more frequently where there have been significant changes to the company or the nature of the company’s activities.